Welcome to the DNR Prescribed Burn Web pages. 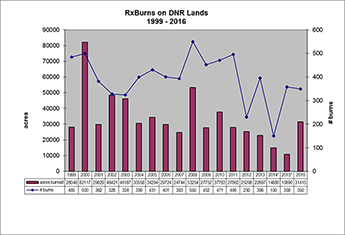 The purpose of these pages is to support DNR personnel in the use and improvement of prescribed fire in the DNR. 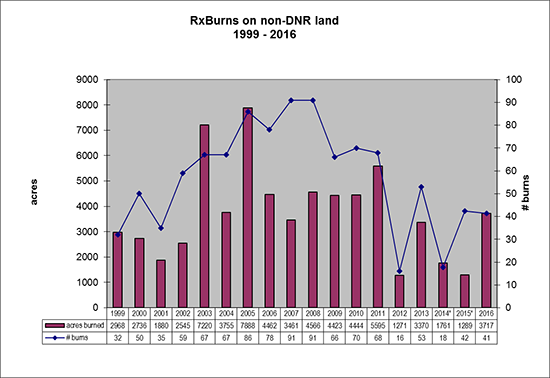 It is maintained by the DNR Statewide Prescribed Burn Committee. 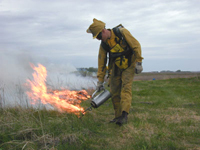 These pages contain key department policies, procedures, forms, and other information staff may need for prescribed burning. 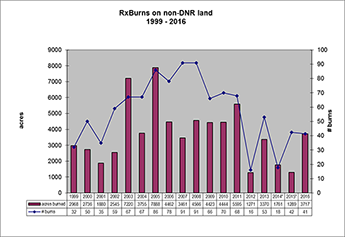 * RxBurns on non-DNR land are burns on private, county,or other non-DNR land conducted by DNR burn crews or contracted crews.